Feline Fireteam? What in the hell am I talking about? Only one of the best presents ever! For my birthday this past December, my husband commissioned some custom art from a game concept artist named Jake Myler, who planned to use the proceeds to help the animals rescued in the California wildfires. (Way too many animals were injured and displaced over the months of rampant wildfires that ravaged California in 2018. Various animal organizations stepped in to help.) The art would be people’s pets as characters from the Destiny video game series by Bungie, where my husband works. Jake was so overwhelmed with commissions that it took some time to get to our commission, but today, we received it. 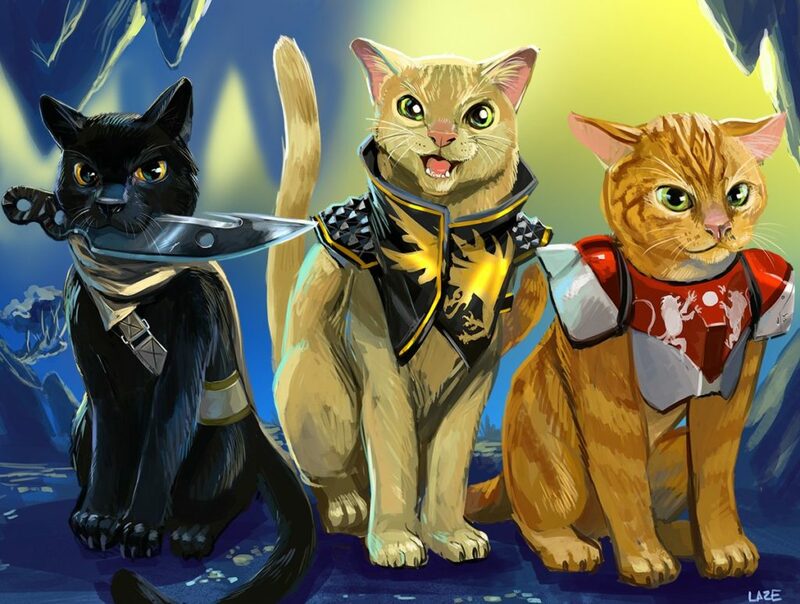 All three of our kitties, Malley, Riley, and DiNozzo, were set as a fireteam, ready to take on the nightfall! It’s amazing to have a custom piece like this of my boys, something that’s video game related and yet shows the personalities of my kitties. Even more so knowing that the money helped other kitties who needed help. 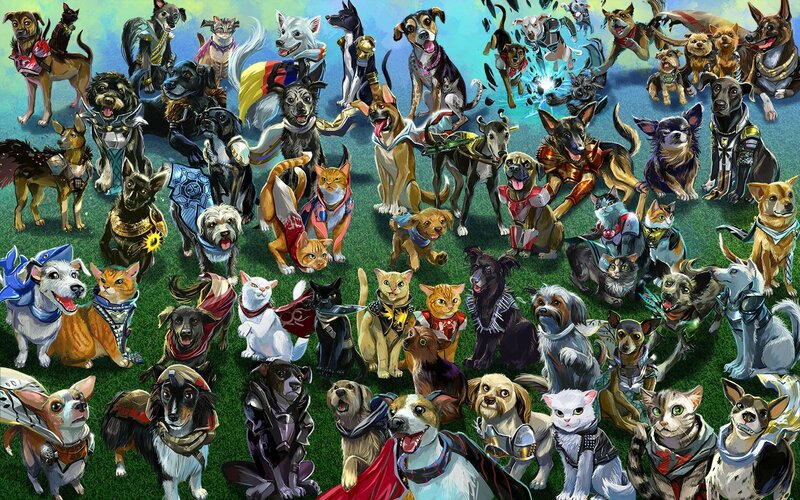 The artist later made a collage of all the custom pets he’d done, which is adorable.